Ever since the HTC One M9 was announced back in March 2015, many of us have been wondering what the Taiwanese company has planned for us next. 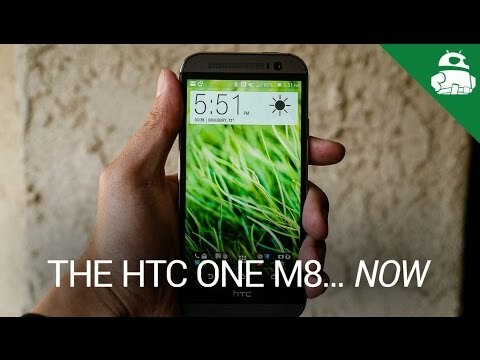 Today we find that out, as HTC has just officially unveiled the One A9. Complete with HTC’s familiar all-metal unibody design, high-resolution audio experience and Android 6.0 Marshmallow with the latest version of HTC Sense, the One A9 certainly seems to be quite the contender in the mid-range smartphone space. With that said, does it come with enough to help it stand out from the crowd? 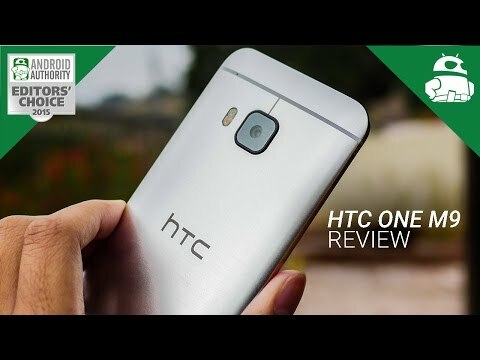 Without any further ado, let’s take a look at the all-new HTC One A9. For starters, the HTC One A9 features an all-metal unibody design, similar to what we’ve seen in past HTC phones like the One M9, M8 or M7. It comes with a 5.0-inch AMOLED display with 1920 x 1080 resolution and Gorilla Glass 4. The company chose to forgo a Quad HD panel for the One A9, and that shouldn’t come as a surprise. Full HD screens are lighter on battery consumption and are much cheaper, which will undoubtedly help with the overall cost of the smartphone, and help make the non-removable 2150mAh battery last a bit longer. HTC says the device can last up to 12 hours with HD video playback, up to 9 hours with internet use (on Wi-Fi), or up to 18 days on standby. It’s also Quick Charge 2.0-compatible, and forward compatible with Quick Charge 3.0, Qualcomm’s newly-announced fast charging standard. Quick Charge capabilities aren’t the only thing helping out the battery, though. This device runs Android 6.0 Marshmallow, which means it comes with all of the awesome battery-saving features that have been introduced in the latest version of Android. Not only this, but it also runs the latest version of HTC Sense, which is one of the most simple OEM skins we’ve seen on any current smartphone on the market. Under the hood, the One A9 sports a 64-bit octa-core Snapdragon 617 processor, along with 2 or 3 gigabytes of RAM, depending on which configuration you choose. The 2GB of RAM model comes with 16GB of on-board storage, while the 3GB of RAM variant comes with 32GB of internal memory. Both variants also come with microSD expansion up to 2TB (2,000 gigabytes), so you’ll definitely have enough memory to store all of your photos, videos and music. And plenty of storage is what you’ll need, too, because the One A9 comes packed with a number of attractive features for all of your multimedia needs. It comes with support for 24-bit, 192KHz high-resolution audio and a dedicated headphone amplifier, which HTC says can produce up to 2x the volume compared to competing smartphones. The company is also selling its new Pro Studio Earphones with the handset to bring it to the next level. Audio quality is definitely something we’ll test in great detail in our full review, which will be out in a few weeks. On the camera front, it sports a 13MP rear-facing camera with a sapphire glass lens cover, optical image stabilization (OIS), auto-focus, hyperlapse video support and the ability to shoot in RAW. 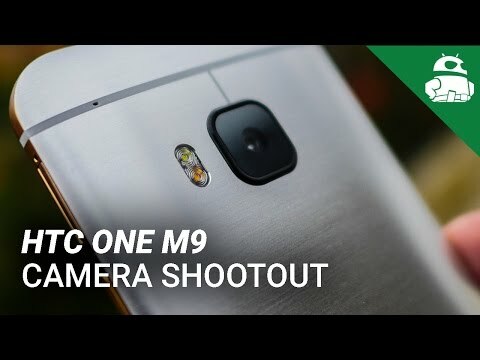 HTC has never really hit it out of the park in the camera department in the past, so we’re pretty excited to see what the A9’s camera can do. HTC says it has improved the camera interface by making it much simpler and easy to use. More commonly-used features like switching between cameras and turning HDR off are now located to the left side of the viewfinder, so it should be a little easier to take photos with the A9. It also features an UltraPixel front-facing camera, which will definitely be able to take care of your selfie needs. As you’ve probably noticed by now, the One A9 comes with a home button below the display. This is because HTC has decided to include a fingerprint scanner on the device. This is certainly good news, as mobile payment popularity is on the rise, especially with the recent launch of Android Pay. As for the overall design of the device, the One A9 is slim and quite small, measuring just 145.75 x 70.8. x 7.26 mm. It will also be quite easy to hold in one hand, thanks to the smaller 5.0-inch display. Some HTC devices in the past have been a bit slippery due to the all-metal design, which we’re hoping the company addressed with this device. If it does turn out to be too slippery, though, there’s good news – HTC is releasing a Dot View II case with the One A9, which will not only add protection from minor bumps and drops, but also some added functionality thanks to the retro-looking dot matrix display. Where and when can you buy the One A9? The HTC One A9 will be available around the world through retailers and HTC.com, with pre-orders starting today for those in the United States. The unlocked version of the One A9 is set at $399.99 (presumably the 16GB/2GB RAM model) , and will initially be offered in Opal Silver and Carbon Gray, with a Deep Garnet color arriving “in the coming weeks”. There will be two versions of the unlocked A9, one that works with Sprint specifically, and the other SKU for T-Mobile, AT&T, and with a software update coming that will allow use on Verizon’s network using LTE only with a previously activated SIM, giving support for full voice, data, SMS, and MMS. HTC also plans to offer the A9 through select carrier partnerships, though not all the details have been revealed on this just yet. Though the A9’s asking price might seem a bit high, considering you can get higher-spec’d devices for a similar price point, the A9 does offer the advantage of HTC’s Uh Oh Protection in the US. This free program gives you a replacement device in the first 12 months if you crack it, water damage it, or simply switch to another carrier and need a different version. The HTC One A9 will also include 6 months of free unlimited music through Google Play Music. It’s also worth considering that, even if its spec sheet makes this seem more like a mid-range entry, HTC is offering several premium features that make this one stand a bit above what you’d expect from the mid-range, and from design and featurs its pretty obvious this phone is being marketed as an iPhone alternative — though whether this is enough to make the A9 a ‘must buy’ remains unseen. So, with all of that said, what are your thoughts? Are you interested in the new One A9? Let us know what you think in the comments below.